The app is very addictive and you will find yourself picking it up to play for a while several times a day. 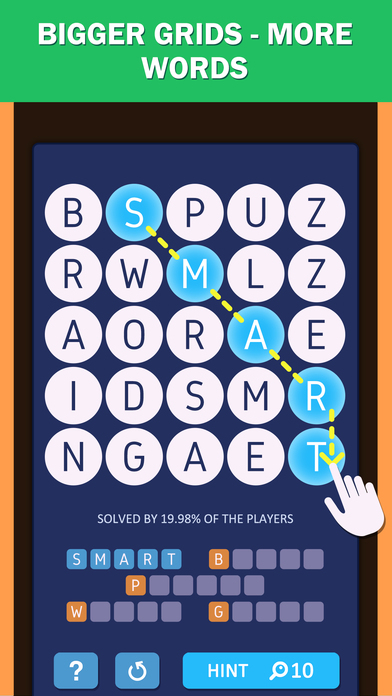 The squares start with 9 letters; either one or two words are hidden in the frame this gradually increases until you are trying to make words from more letters and have more words to deal with. Every day there is a new frame that if you can solve it you earn a 'hint'. One letter is put into the grid for you to help you to solve the main game. 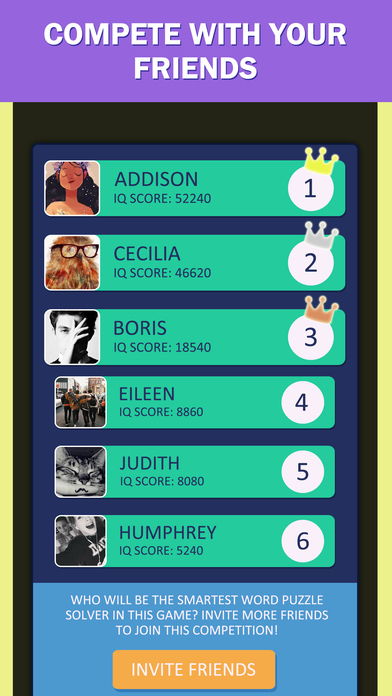 The app tells you the percentage of players that have managed to solve each grid, that will give the users a sense of achievement to know that they are among the real users. 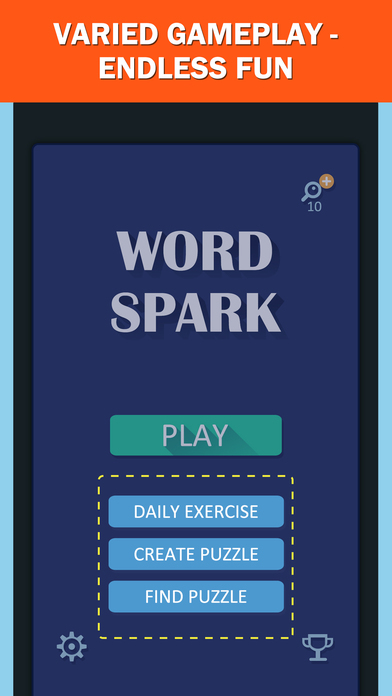 30 amazing packs, 580 well-designed puzzles, more difficult than traditional Crosswords, Word Spark seems impossible to be completed. Wanna challenge yourself? 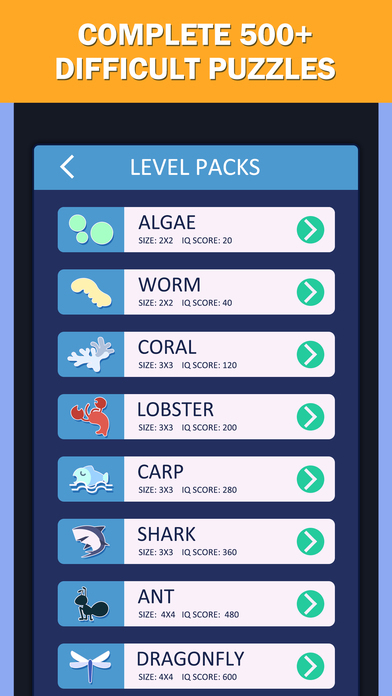 Download it and pass the increasingly difficult levels now! ALL LEVELS ARE SOLVABLE! If you get stuck, it’s not a bug. You may have swiped in a wrong order. Or you may have chosen an incorrect letter for a word. 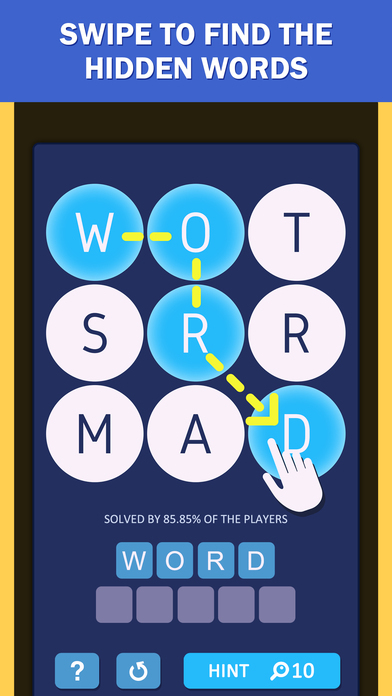 Please try to RESET the level or use HINTS to solve it! Connect your Facebook account to have even more fun!